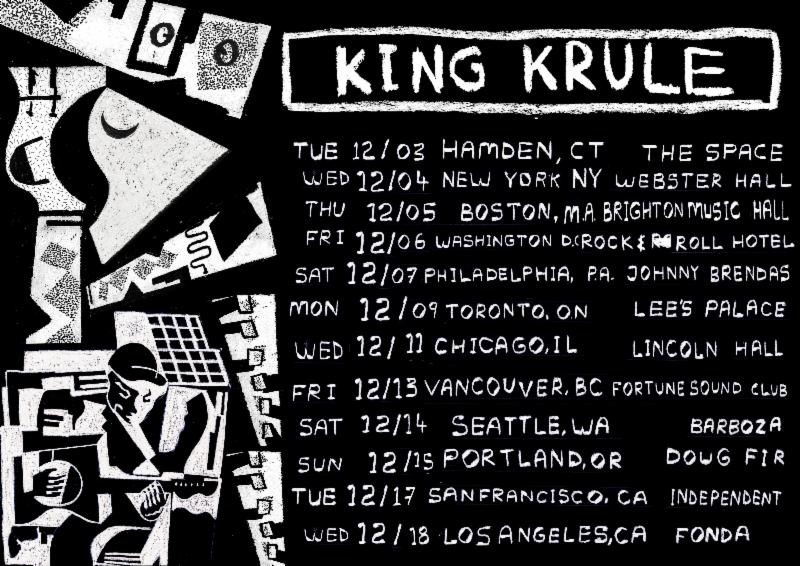 Archy Marshall, the deceptively diminutive 19-year-old who operates under the moniker King Krule, has always been relatively scarce in his tour dates. With only a brief stint in the US on the release of his debut album, 6 Feet Beneath The Moon, it seemed like that might be the last we'd hear of the man before his next album, whenever that may be. In a A.C. Doyle-like twist, Marshall announced he'll be spending the month of December with us Yanks and a few Canucks, all at the dates listed below. The entirety of his short visit in September sold out, so be prepared for that possibility this winter, as well. 6 Feet Beneath The Moon can be found through XL Recordings. 06 Rock & Roll Hotel – Washington, D.C.